A brightly coloured and distinctively patterned bird, it is considered to be one of the most stunning of all waterfowl and the male has particularly colourful breeding plumage. 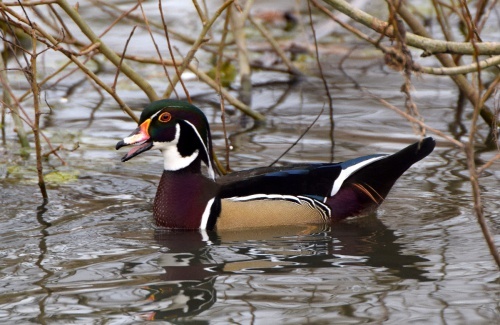 It is one of just a few ducks with strong claws that allow it to perch in trees. 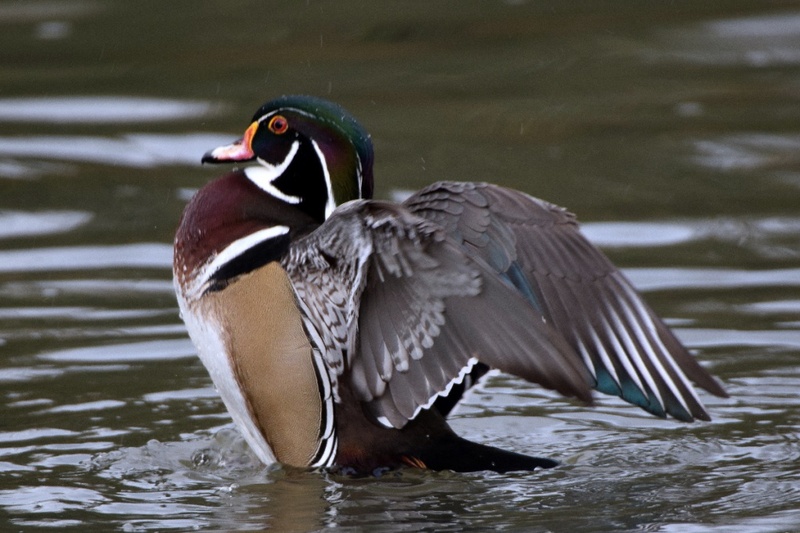 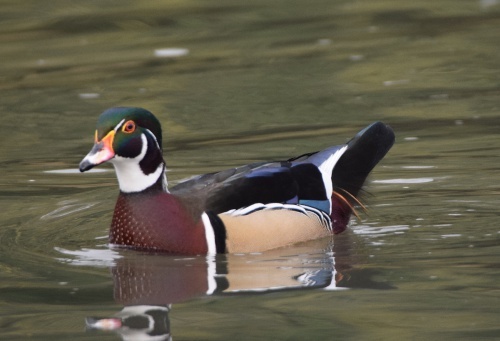 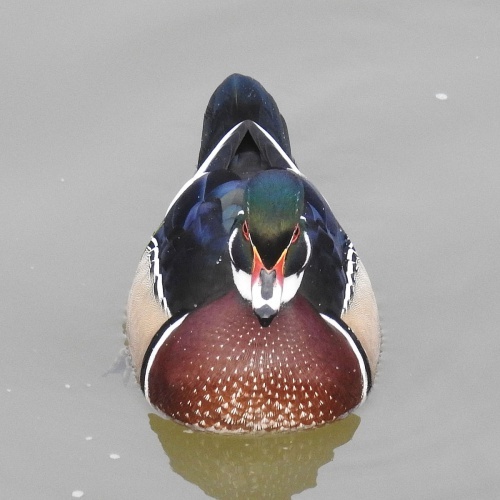 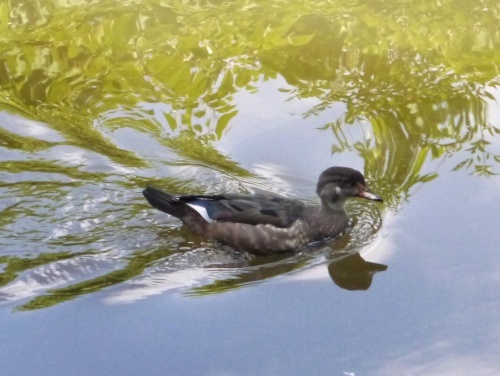 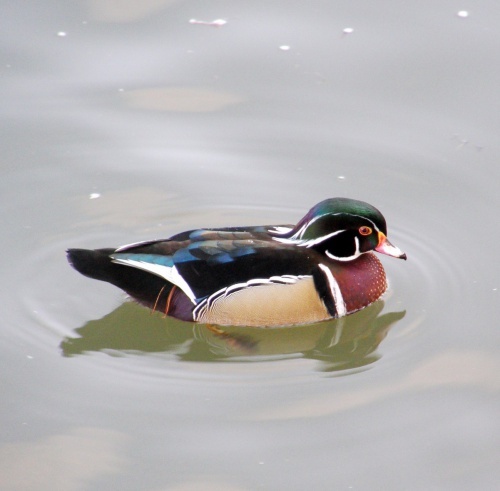 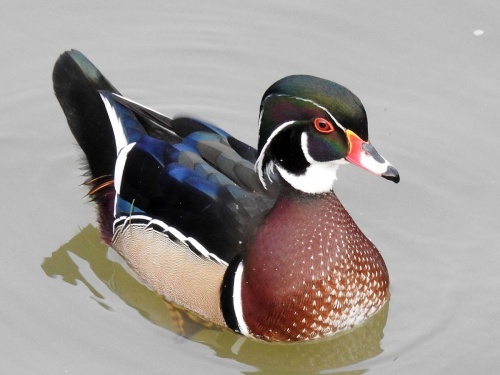 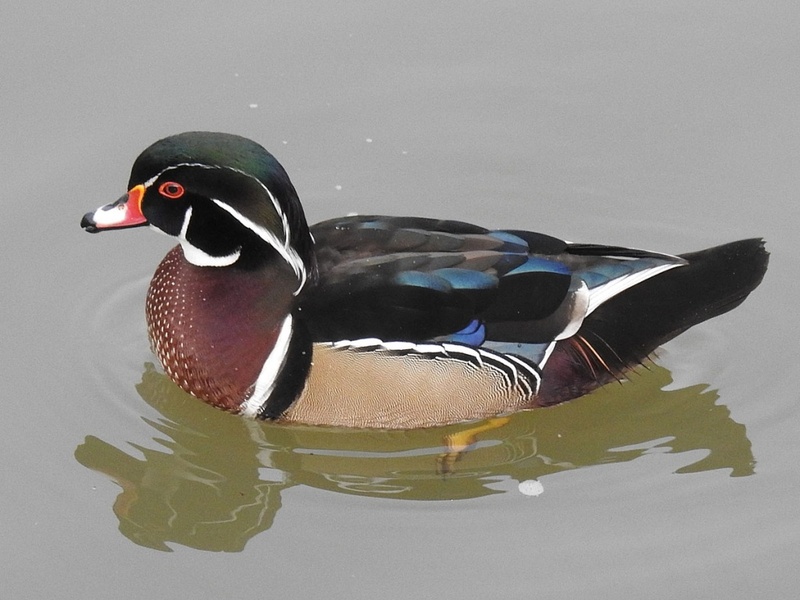 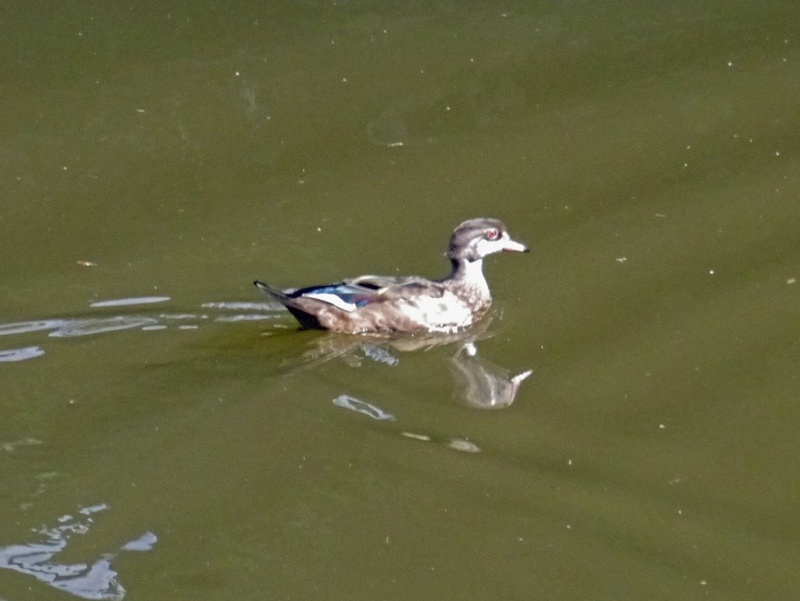 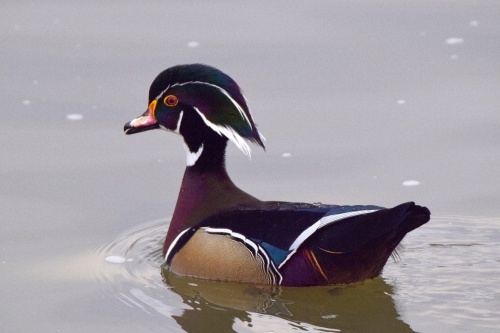 A relatively small duck, the Wood Duck has a crested head, a thin neck, short, broad wings and a large, rectangular tail. Mainly recorded from late September to March. Unlike most ducks, the wood duck nests in tree holes, and on leaving the nest the young may have to leap to the ground from great heights. This feral species is occasional but widespread in Britain.